Montgomery County has entered into an innovative public-private partnership with Schneider Electric and Duke Energy Renewables to construct microgrid systems at two of the County’s critical public safety buildings; the Public Safety Headquarters and Montgomery County Correctional Facility in Clarksburg. Through these microgrids clean power will be generated onsite using solar energy systems and natural gas generators. This will permit these public safety buildings to operate independently of the electrical grid, ensuring uninterrupted public services during emergencies, replace aging equipment, and install cybersecurity measures, without any upfront costs to the County. Both microgrids are expected to be completed in mid-2018. The onsite power sources are called microgrids because they can operate without any power from the utility grid, producing 3.4 million kilowatt hours of solar energy each year, enough to power more than 300 homes. The microgrids will include “combined heat and power,” which saves energy by using waste heat from onsite power generation to heat buildings. Combined, the onsite power generation at these County facilities will reduce greenhouse gas emissions by 3,629 metric tons each year. According to the U.S. Environmental Protection Agency, this reduction in greenhouse gas emissions is the equivalent of taking 767 cars off the road or planting 94,000 trees. 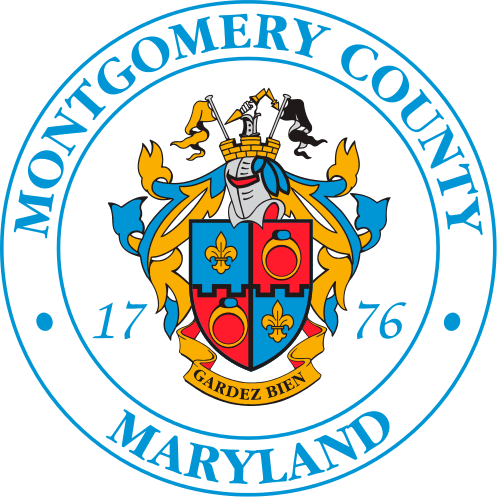 The microgrids are a natural extension of Montgomery County’s successful deployment of advanced renewables and other eco-friendly technologies on County facilities. This includes 11 solar arrays already installed as part of a project that will generate a total 11 million kilowatt hours of electricity each year (enough to power more than 1,100 single family homes) and save $15 million in utility costs over the next 20 years. The County also successfully implemented a combined heat and power system at the County’s Pre-Release Center last year. Montgomery County is a partner in the U.S. Department of Energy’s Combined Heat and Power for Resiliency Accelerator, which provides a forum for experts across the country to plan buildings that can run independently from the utility grid. This and other Accelerators within the Department of Energy’s Better Buildings Initiative aim to make commercial, public, industrial, and residential buildings more energy efficient and resilient to a changing climate over the next decade. This means saving hundreds of billions of dollars on energy bills, reducing greenhouse gas emissions, and creating thousands of jobs nationwide. For updates on this project and other eco-friendly initiatives on public facilities and operations, follow the Department of General Service’s Office of Energy and Sustainability on Facebook (facebook.com/MocoGreenDGS) and Twitter (twitter.com/MoCoOES). More information also is available on our website.